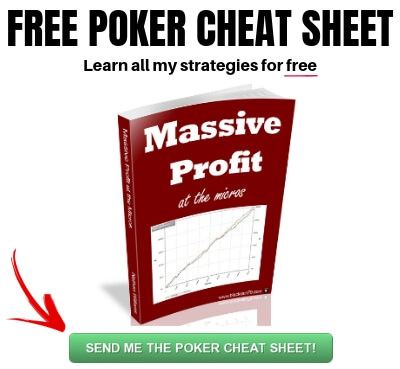 Can You Win at Online Poker Without Using Math? A very common question that I see is how much math do you need to know in order to beat online poker. Well, as usual in this game the answer is not so straightforward. But it is usually less than what most people think. You do need to know some basic math in order to win at poker. Poker after all is a game which is based on percentages and odds. However, you do not need a PHD in mathematics or a deep understanding of game theory in order to beat the lower stakes poker games. In fact, overthinking the math at these limits is a very common problem that holds many people back. They study way, way too much math. In this article I am going to provide an overview of the 3 types of basic math that you need to know in order to beat the micro stakes cash games online. The first and most important type of basic math that you need to know is hand odds. This does not actually require you to do any difficult calculations. I mean you certainly can and should learn how to count your outs (the cards remaining in the deck that will give you the winning hand). And you should also know how to divide this number by the amount of unseen cards remaining in the deck in order to get your exact odds of making the winning hand. If this is something that interests you, then there are literally hundreds of articles already on the internet (and even entire books) which cover this topic in detail. 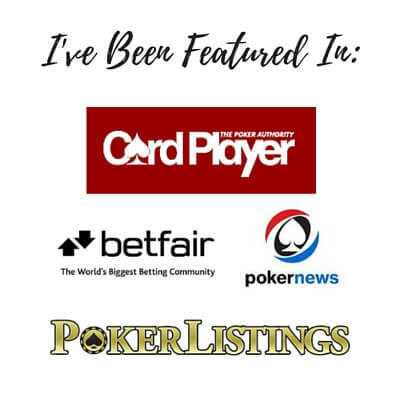 But if you read this blog regularly and know my approach to the game, then you will know that I am all about keeping things simple, and more importantly practical, at the poker tables. We don't need absolute precision when playing 4, 8 or 12 tables online. In fact, we don't have time for it anyways. All you need to be able to do is roughly calculate your hand odds (also called equity in the pot) versus your opponent's likely range. And the best way to do this is to memorize the odds in several common situations. You should memorize all of the percentages in common situations like these with one card to come on the turn as well. In fact an even easier way to calculate all of this on the flop is to simply know that a draw becomes a coinflip at about 13 or 14 outs. So for instance in the example below the player holding 7♥6♥ (who has 14 outs) is actually a slight favorite to win the hand with two cards to come. If you are counting at home that is 9 outs for the flush draw, 3 sixes for two pair and 2 sevens for trips. This is why it is a good idea to play your monster draws like this very aggressively. You will often get your opponent to fold and take down the pot uncontested. And even if you get called you will still have 50% equity in the pot (at least on the flop). How Do You Memorize Your Equity in All of These Situations on the Flop and Turn? Well again, you could pull out your calculator or pencil and paper and start counting outs and dividing. But this is 2016 and there are far easier ways. Simply plug in the cards and the board and instantly get the exact percentages. I have spent countless hours over the years fiddling with these programs and entering in different scenarios. This is why all of the common spots like those listed above are simply committed to my memory now and I never even have to think about them at the poker table. 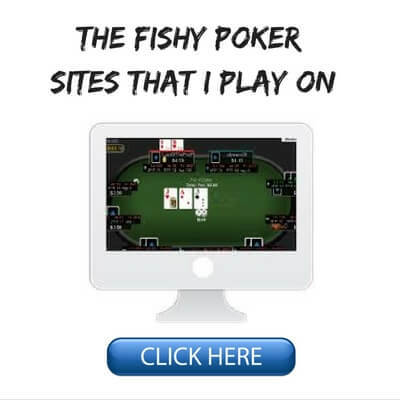 It should be noted that if you are using a HUD (yes, you should be using one if you take online poker seriously), then you can also simply just use the equity calculator which is already built right into these programs. The next type of basic math that you should know is pot odds. You have probably heard this term before and it simply refers to the price that you are getting (or giving somebody else) to call. Once again, a lot of people massively overthink this in poker. We don't need exact percentages. We don't have time for that in the fast paced environment of online poker anyways. All you need to do is be able to roughly calculate the pot odds with some very simple addition and division. How Do You Calculate the Pot Odds? In order to calculate the pot odds all you need to do is look at the pot size and the current bet. You add them together and then divide by the bet. The pot is $4 and your opponent has bet $2. Your pot odds in this situation are therefore 3 to 1. Now what does this number actually mean though you might be asking? Well as mentioned it means that the price that you are getting on the pot is 3 to 1 (risking $2 in order to win $6). But in more practical terms this number is most useful when you compare it to your hand odds. Your hand odds should always be equal to or better than your pot odds. So therefore, in order to continue in this hand you should be at most a 3 to 1 dog to make the best hand. This means that you should have a minimum of 25% equity in the pot. If your odds of making your hand are better than your pot odds, then you should definitely continue in the hand (this could mean calling or raising). If your odds of making your hand are worse than your pot odds though, then you should either fold or possibly consider semi-bluff raising. Calling will not be mathematically profitable for you. Although if you have the right implied odds, this is not always the case. The last type of basic poker math that you need to know is implied odds. Implied odds are basically the money that you might stand to win in addition to what is currently in the pot, should you make your hand. We must always remember that this is No Limit Hold'em, not Limit Hold'em. You should always be thinking about the stack sizes and what you could win if you manage to make your hand. The classic case is when you have a small pair or some other speculative hand preflop versus a tight player who very likely has a strong hand like Aces or Kings. Your implied odds could be very high in a situation like this. Now implied odds are not really something that you can calculate quite as easily as hand odds or pot odds. In fact most of the time I am just making a mental note of how much equity I have and how much I think that I can win if I hit my gin card. If the stacks are sufficiently deep and you think that your opponent will payoff like a slot machine when you hit, then there is nothing wrong with continuing on in the hand even though your hand odds are worse than your pot odds. Preflop, you can actually put a number on your implied odds when set-mining for instance. I like to have at least 15 to 1 on my call. By this I mean that my opponent has at least 15x the raise that I am calling left in his/her stack. This typically means that they have a starting of stack size of at least 50bb. The reason why I want so much is that even though I am only about 8.5 to 1 against to hit my set, I won't always get paid off. My opponent might only have two missed overs like AK on a 369 flop for instance. I probably won't be getting much out of him here unless he happens to hit his 6 outer on the turn or river. Even then, there is no guarantee that he goes broke with it. It is important to remember that even when a tight player raises there are a lot more combinations of hands like AK or AQ than there are of AA, KK, QQ or JJ. Secondly, even if my opponent does have a strong overpair, when I hit my set he might be good enough to fold it without losing too much. Not every reg these days goes broke just because they have Aces. And lastly, it is important to remember that even when we hit our set (or two pair etc.) we will still lose the hand on occasion when they catch a higher two pair, a higher set or a running flush. So for all of these reasons, when I am considering flatting preflop with a small pair or some other speculative hand, I typically want my opponent to have at least 50bb but preferably 100bb. If I am out of position I will want them to have even more stack behind, perhaps 75bb. This is because it is much more difficult to extract (i.e., win a big pot) when you have to act first on every single street. 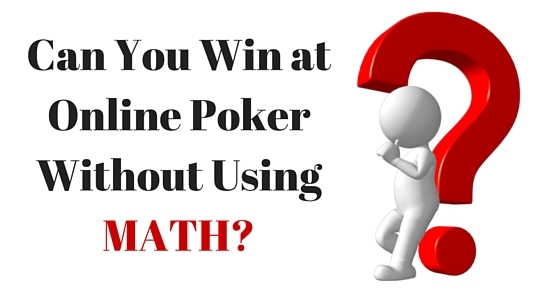 So can you win at online poker without knowing any poker math? 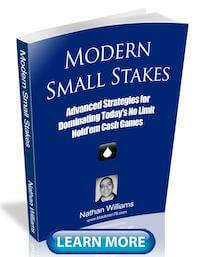 I suppose it is possible in some really soft micro stakes games but even then you would be giving up a lot of EV. 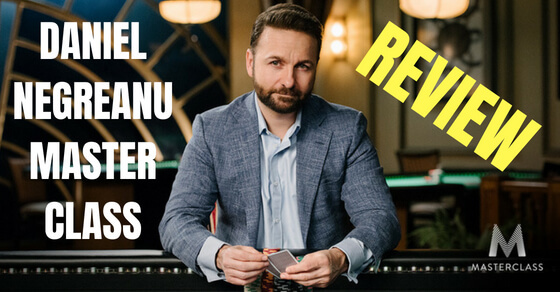 Poker is a game that is based on mathematics and therefore you should definitely have a solid understanding of the basics (i.e., hand odds, pot odds and implied odds). But as you probably noticed above the actual math that is involved here is something that most 10 year olds could handle. And a lot of the odds and percentages can simply be put to memory so that eventually you don't really even need to think about them. 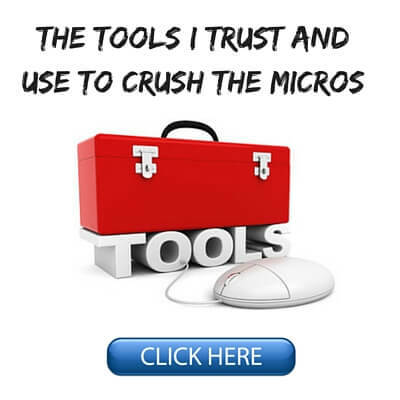 I have talked about the overthinking and the over-complicating of the game that holds back so many people at the micros many times on this blog. Poker math is one of the biggest areas where this shows up. 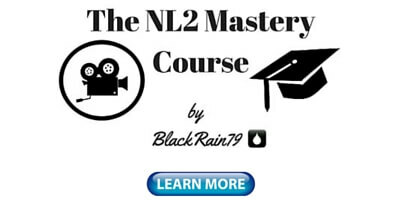 You don't need to be a math genius in order to beat the mostly beginner level players at stakes like NL2 and NL5 online. You don't need to be perfect when doing basic calculations like hand odds or pot odds either. If you are off by a few percent, it will make very little difference to your long term winrate. And the latest craze, applying game theory to these stakes is simply absurd and even potentially harmful for your winrate. You should be using an exploitative strategy, like I discuss in both of my books, against players who typically have massive leaks in their game. 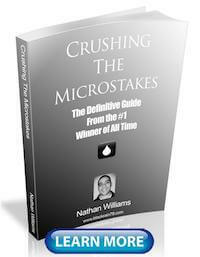 As I always suggest on this blog and everywhere, keep things as simple as possible at the micros and profit the most. This approach has always worked the best for me anyways. Hey Jon sounds like an interesting way to simplify it. I am pretty bad at math to be honest haha. That is why I rarely write about it. But if you can find ways like this to make it easier then that is great! Really the $20 is what you need to make in order for the call to be mathematically viable. REason why implied are sometimes difficult. You don't always get paid off even when you hit. Thanks Nathan, I hope things are going well, Take care . . . Thanks David and same for you! Hey Nathan nice blog, not every day we hear you write about math. Currently reading Poker Math That Matters by Owen Gaines just for the sake of knowing a little more about the mathematical part of the game. Hope you're doing great! Take care! Thanks Jorge! I know Owen and that book receives a lot of praise. Great post Nathan. Thanks for sending me another link to your book when my old one didn't work so quickly. Good luck at the tables! No problem. Good luck to you as well! It depends a lot on the player type but at the lowest limits I typically 3Bet or fold versus someone who has a decently wide stealing range. I mix in more calls at higher stakes to balance my range. Against a limper I will always just raise, fold or hit check if I am in the BB with a bad hand.